Assessment of Efficacy and Tolerability of Medicinal Cannabinoids in Patients With Multiple Sclerosis: A Systematic Review and Meta-analysis. “Cannabinoids have antispastic and analgesic effects; however, their role in the treatment of multiple sclerosis (MS) symptoms is not well defined. 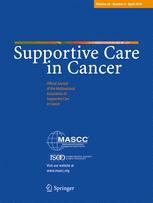 To conduct a systematic review and meta-analysis to assess the efficacy and tolerability of medicinal cannabinoids compared with placebo in the symptomatic treatment of patients with MS.
Randomized, double-blind, and placebo-controlled trials evaluating the effect of medicinal cannabinoids by oral or oromucosal route of administration on the symptoms of spasticity, pain, or bladder dysfunction in adult patients with MS.
Seventeen selected trials including 3161 patients were analyzed. Significant findings for the efficacy of cannabinoids vs placebo were SMD = -0.25 SD (95% CI, -0.38 to -0.13 SD) for spasticity (subjective patient assessment data), -0.17 SD (95% CI, -0.31 to -0.03 SD) for pain, and -0.11 SD (95% CI, -0.22 to -0.0008 SD) for bladder dysfunction. Results favored cannabinoids. Findings for tolerability were RR = 1.72 patient-years (95% CI, 1.46-2.02 patient-years) in the total adverse events analysis and 2.95 patient-years (95% CI, 2.14-4.07 patient-years) in withdrawals due to adverse events. Results described a higher risk for cannabinoids. The serious adverse events meta-analysis showed no statistical significance. Medical Marijuana Use in Older Adults. “Symptom management in older adults, including pain and distressing non-pain symptoms, can be challenging. Medications can cause side effects that worsen quality of life or create other symptoms, and polypharmacy itself can be detrimental in older adults. Cannabinoids may offer a way of managing selected symptoms with fewer side effects. Medical marijuana is an important area of study for older adults because of the side effects of other medications. It is also important for Baby Boomers, who are likely to have more experience with marijuana than older adults of previous generations. Therefore, geriatricians should understand medical marijuana’s clinical indications, adverse effects, and legal context. Single-Dose Pharmacokinetics of Oral Cannabidiol Following Administration of PTL101: A New Formulation Based on Gelatin Matrix Pellets Technology. “Cannabidiol (CBD) is the main nonpsychoactive component of the cannabis plant. It has been associated with antiseizure, antioxidant, neuroprotective, anxiolytic, anti-inflammatory, antidepressant, and antipsychotic effects. PTL101 is an oral gelatin matrix pellets technology-based formulation containing highly purified CBD embedded in seamless gelatin matrix beadlets. Study objectives were to evaluate the safety and tolerability of PTL101 containing 10 and 100 mg CBD, following single administrations to healthy volunteers and to compare the pharmacokinetic profiles and relative bioavailability of CBD with Sativex oromucosal spray (the reference product) in a randomized, crossover study design. Administration of PTL101 containing 10 CBD, led to a 1.7-fold higher Cmax and 1.3-fold higher AUC compared with the oromucosal spray. Tmax following both modes of delivery was 3-3.5 hours postdosing. CBD exhibited about a 1-hour lag in absorption when delivered via PTL101. A 10-fold increase in the dose resulted in an ∼15-fold increase in Cmax and AUC. Bioavailability of CBD in the 10-mg PTL101 dose was 134% relative to the reference spray.